Artificial Intelligences battling it out for the ultimate victory, what could be better? 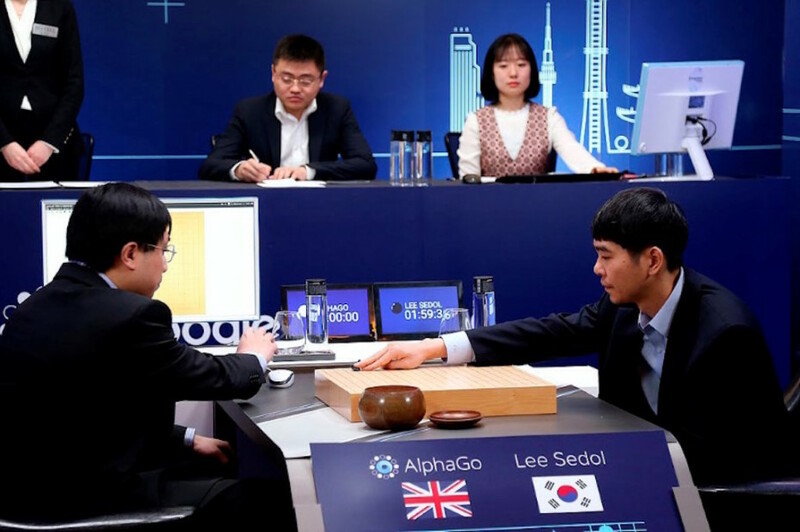 Earlier this month, we watched the defeat of world-renowned Go-mastermind Lee Sedol, who lost a Go tournament to Google’s AlphaGo Artificial Intelligence. What’s so incredible and unexpected about this event is that such a defeat—where an artificial intelligence takes down a human master in such a complex game—wasn’t expected for another decade, at least. But the world watched in awe as Lee was defeated 4 times by Google’s artificial intelligence (AI). The competition consisted of five matches that spanned over one week in mid-March. If Lee was to win the competition, he would have been awarded $1 million. Unfortunately – he walked away with only the title of ‘World’s Best Human Go Player’ (Google donated the money to charity though, so we all kind of won in the end). Of course, computers can do a lot of things that humans can’t; however, it was widely believed that an artificial intelligence wouldn’t be able to beat a human player due to the immense complexity of the game. There are more possible moves in a game of Go than there are atoms in the entire universe. But AlphaGo is able to analyze moves, interpret data, and plan effectively…as it learns directly from raw experience. The battle between human and AI Go players has brought a ton of publicity throughout the world. People who had never heard of ‘Go,’ finally know what it is, thanks to this series of matches. The news has also spread throughout China, the birthplace of the ancient game. The game is so well-known and competitive here that there are even ‘Go training schools.’ Google’s CEO Sundar Pichai visited one of these top schools Thursday to develop his knowledge of China and Go. That’s why it’s probably no surprise to see China announcing that it plans to take on Google’s AlphaGo—in a challenge between AI and AI. China’s ‘Google’ equivalent, Baidu Inc., is also in the process of developing an AI to take on the challenge. Baidu is Bringing Their Self-Driving Cars to the U.S.